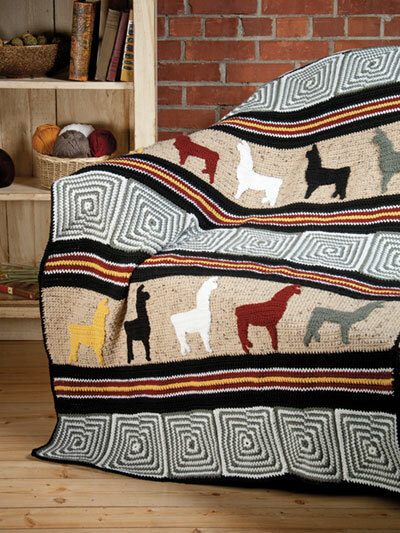 Create a beautiful design including the ever-popular alpaca! Any yarn lover is sure to delight in this colorful creative afghan featuring a major provider of luscious fiber. 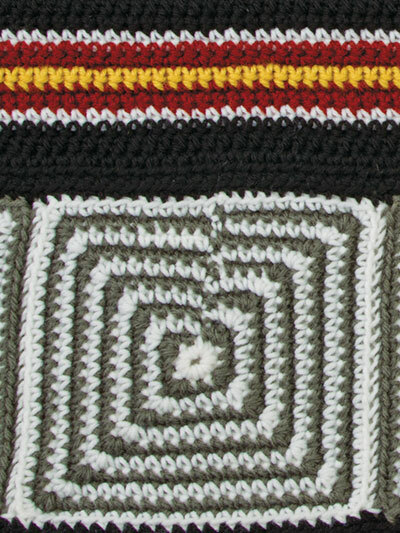 Design is made using worsted-weight yarn and sizes G/6/4mm and I/9/5.5mm crochet hooks. Crochet 9 spiral squares then assemble squares into 3 strips. Strips are then sewn to top, middle and bottom sections. 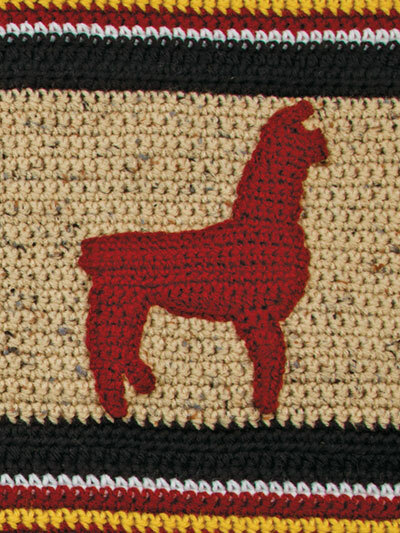 Alpacas are crocheted in 5 different colors and sewn to afghan. Finished size: 44"W x 60"L.